It’s been open for about a year and I’ve finally had the chance to go there to see several different comedians within the last month or so. It is within walking distance from the train station and plenty of parking in a nearby lot if you don’t want to try street parking. Street parking is free after 6 pm and on the weekends. Initially I wanted to go to a special event (which is a headliner comedian), but the comedian my friends and I were planning to see had canceled his tour so we ended up seeing Godfrey. Let me tell you, there really isn’t a bad seat at all. The emcee starts off the show, followed by a comedian, and then the headliner. If you are hungry and/or thirsty, they have a reasonably priced food and drink menu. Surprisingly the food is pretty tasty, coming from Harlan Haus, the restaurant next store. Although, I’ve only had the empanadas, chicken wings, and ice cream sundae. After the show my friends have gone to nearby restaurants for after drinks and food. (Check out Harlan Haus or Brewport.) I’ve been lucky to be back to see several other comedians. Vinnie Brand, the owner told me that I really should try the non-special events because those shows are just as good as the special events. He’s right! If you want some laughs with your friends or SO, check out their schedule and come down to Bridgeport’s Stress Factory Comedy Club. So this past weekend I tried Eat Noodle and wanted to update this blog from less than a year ago. Ok, so Bridgeport gets a bad rap, but there are some positives about the city. I grew up in Bridgeport and one of the things I loved about Bridgeport was the diversity of foods. Bridgeport has been trying to revitalize for more than the past decade. One of the ways they have done that is attempting to draw people to attend an event at Webster Bank Arena or see a show at the Downtown Cabaret. Wouldn’t it be nice to grab a bite before or after the show or event? Or when you get hungry as you are passing Bridgeport onto your destination? There are a ton of restaurants and eateries in Bridgeport that you should check out. This is my all time favorite Italian restaurant in Bridgeport. Don’t come here if you are in a rush. Everything is made to order. There has never been a time where I have not liked something. I’ve come here several times and Pasquale and Jennifer, the owners are so friendly. Pasquale has sat down with my friends and I to share stories about Italy. This is a German-style beer hall located inside an old bank. It has community-style seating and a great place to come with a group of friends. I’ve only gone late night, but others have told me that it does get crowded during happy hour as a lot of people working in local businesses go there. Food is on point. I’ve had a couple of the wursts, washed down with their own beer, Harlan Honey Kohlsch. I’ve also eaten at their sister restaurant Harlan Publick in Norwalk, which is vastly different from Harlan Haus. Hands down, best pho in the area. It is not your fine dining type restaurant. It’s the opposite. Most are skeptical because it is not really in the downtown area. But if you want authentic Vietnamese food, come to Pho Hong Thom. It is a family owned restaurant. When you walk into the restaurant, you can already smell the aroma of the pho broth. The pho is fragrant and flavorful. You get a large portion and it’s cheap. Who am I kidding? All of their food is delicious. The Black Rock section of Bridgeport offers many great eateries, including Fire Engine Pizza Company. I’ve gone here several times with my friends. Their steak tips are highly recommended as an appetizer. But the main thing I go here for is their pizza. Ok, so New Haven pizza is the best, but there’s is pretty good and thin crusted, which I love. A coworker had told me about this place. She wanted my opinion about what I thought of the food being that I’m Vietnamese. So I went on the weekend with my brother. We loved the vibe of the place and got to talk to the owner and his mother-in-law. They are good people. It is a small place with bar seating. However, you can also do takeout. I prefer eating there. I’ve order the pho, pho ramen, congee (rice porridge), and the banh mi. Compliments to the cook. 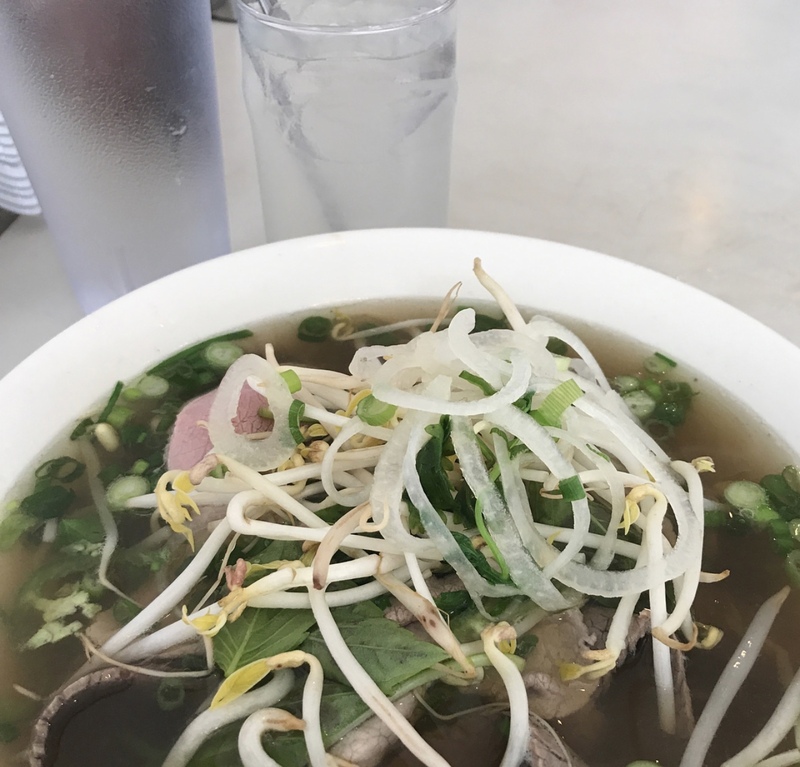 Their pho tastes just like my dad’s–very aromatic and seasoned well. Everything is fresh. Every time I go, I try to get something new, but I do often go back for the pho. Looking for authentic Puerto Rican food, first go to would any of the numerous restaurants on East Main Street. But if you are not comfortable driving in that area, head to La Caguena which is in the North End of Bridgeport. It is CASH ONLY. I’ve had their rice and beans, empanadas, potato balls, and flan. You can see most of their food on the menu in the case behind glass. If you are not familiar with the food item, ask the counter person and they will be more than happy to explain it to you. I’ve always passed by this place and have had intentions of going in. I’m so glad that I finally did. My friend and I came here to plan out our ice cream crawl (blog post to come) and we each ordered the hash brown waffles. Mine was with bacon and cheddar. It does take some time for it to be made, which we were told when we ordered. It was worth the wait time. It was savory. Yummy in my tummy! My portion was generous and I could not finish it. Service was great and the atmosphere is cozy especially for meeting up with friends or just wanting a bite and get some work done. I’ll definitely come back again to try the other menu items. You should not pass up this hidden gem. Several of my friends had mentioned to me that there was this noodle house that I needed to go to especially since I have this thing for checking out different pho restaurants to see who has the best pho. So after a day of yard work I figured I would treat myself. They offer pho, ramen, and curry soup. You would think I would order the pho. Instead, in need of some change in my palette, I went for the curry crispy chicken noodle. That was hands down, amazing! I’m so glad I passed up the pho for it. It reminded me of my dad’s curry. It was flavorful and had a nice kick to it. The chicken was crispy and the soup had potatoes, carrots, and tomatoes. I had leftover broth and that broth could not go to waste. I took it home just so I could dip slices of french bread into it. Now I know where to go whenever I am craving curry. 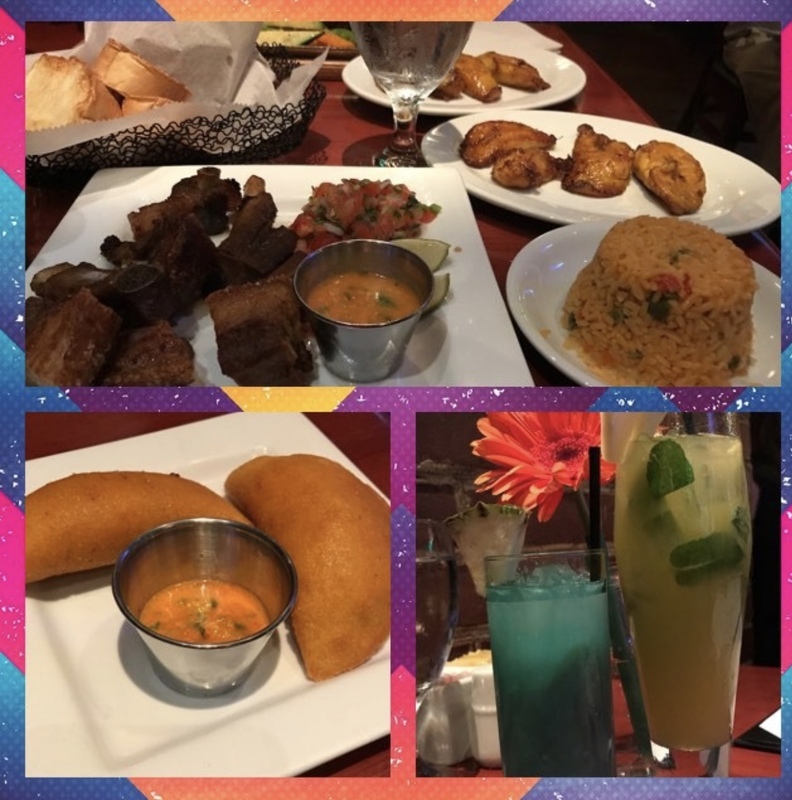 There are several other restaurants that I have yet to try in Bridgeport, like Ralph n’ Richs (Italian), Avenida (Portuguese), Bereket (Mediterranean), just to name a few. Maybe after you try these restaurants, you’ll want to adventure out and try the others. Chicago is monumental to me because it is my first travel destination all by myself. Traveling to a new city, especially on my own, was daunting because I didn’t know the area or neighborhoods, let alone know anyone. I also had to figure out how to get around. I know most people just UBER it nowadays, but I like to get the feel of wherever I am at, so I would prefer walking or using public transportation. Make friends with the hotel staff because they will surely give you tips on what to do and how to navigate wherever you are. The bellhop explained to me how to get downtown. I was only working in Chicago for 3 days. I had plan of things to do and eats to try to maximize my time here, while taking tips from the hotel staff to add to my agenda. I visited Chicago mid-October. If you have a choice of when to come, I’d suggest coming during the spring and summer, as October nights in Chicago are cold and windy. I guess that’s why it’s called the Windy City (that’s not the real reason. Find out here.) It’s best to dress in layers and bring a coat with you. I had brought a thinner jacket but that wasn’t enough for me (even with layers). Since most of my exploration was taking place during the evening and at night, I splurged on a coat to endure the cold. Lucky me, the Fashion Outlets were across from my hotel. My hotel accommodations were at the Crowne Plaza in Rosemont, close to O’Hare International Airport. The work I was doing was also taking place at my hotel, so after I finished working at 4:30 p.m., I ran up to my hotel room to change. I walked to the train station, about 15 minutes away. Then, I took the Blue Line to Downtown Chicago, approximately 40 minutes from Rosemont. If you could stay closer or within Downtown Chicago, you’d definitely save yourself some travel time. Initially I was planning on UBERing it to Downtown Chicago, until I heard that it would cost at least $40 each time. I was on a budget and spending that seemed outrageous. Instead, I spent a little less than $40 by getting a three-day pass and taking the CTA Blue Line. One of the things on my list was Millennium Park. The bellhop explained how to get off at Washington. I used Google Maps to help me navigate the rest of the way. So the first night I went to Millennium Park and then walked to Navy Pier. On the second night, I went to Willis Tower and the last night, I traveled to the Lincoln Park neighborhood to see a comedy show. Because it seemed like I walked everywhere on my first night, mostly because I got lost, I kinda got a lay of the land and had an idea of where the train stations were located. So if you are in Chicago for a short time like I was, these are your must-dos. Stroll through Millennium and Grant Park-That’s where “The Bean” is located. It is amazing especially as you come as the sun is setting. The mirrored reflection of the city’s skyline is impressive. You can even even walk underneath it; it has the creative funhouse mirrored effect. If you keep walking through Millennium Park, which is a part of Grant Park, you can see two architectural designs of Frank Gehry (who I only know because of his Tiffany & Co. jewelry collection), the BP Bridge and the Jay Pritzker Pavillon. There is also the Lurie Garden and the Crown Fountain to visit there too. I didn’t get a chance because I had to go to Navy Pier for my boat tour. Take a boat tour-This is great to do on your first day. It is approximately 75 minutes but it’ll help you get your bearings of the city. I took the Seadog River and Lake architectural boat tour from Navy Pier at night. It was freezing! We started in Lake Michigan. The Chicago Harbor Lock separates the Lake Michigan from the Chicago River. It was pretty cool to see how we start in Lake Michigan and how at the lock, it cycles through the water to bring its level to the level of the Chicago River within approximately 15 minutes. The tour guide amusingly narrates facts, stories about the history, buildings, and bridges along the Chicago River. Try a Chicagoan hotdog-FYI, in Chicago, you do not put ketchup on your hotdog. Instead, there’s raw onion, mustard, sweet pickle radish, tomato slices, a dill pickle spear, sport peppers, and celery salt. With all of that on it, you really don’t need any ketchup. There are plenty of places to try a Chicagoan hotdog, but I went to Portillo’s. Visit the Willis Tower Skydeck-If you are scared of heights, I wouldn’t recommend it. I’m one of those people, but I am trying to overcome my fears by doing something I wouldn’t normally do. The Willis Tower, formerly the Sears Tower is the tallest building in Chicago. You can get up to the 103rd floor Skydeck, which offers 360 spectacular views of Chicago. It also has the Ledge, which is a glass balcony extending four feet outside the 103rd floor. Don’t look down. If you must, do it quickly! In actuality, it was pretty awesome to be standing and sitting on top of the city. Try deep-dish pizza-Since I live in Connecticut, New Haven pizza is all I know. Thin-crust pizza is the clear winner in my book. However, I couldn’t knock deep-dish until I tried it from where it was invented. Chicago gets a lot of attention for its deep-dished pizza. There were several places that were recommended to me: Lou Malnati’s, Giordano’s, Pequod’s, the Art of Pizza, and Gino’s East to name a few. Since I was limited on time and couldn’t visit all those places, I tried Giordano’s (mostly because there was one close to the Willis Tower). Warning: it takes about 45 minutes for your pizza to come out because it needs more cook time since it has thick layers of toppings. So don’t go there when you are at the point of starving and hangry. My personal size meatball deep dish pizza was plenty and more like 3 meals for me. It was like eating a meatball grinder just pizza style. Surprisingly it wasn’t as doughy as I expected. The crust is just deep and creates a bowl for the layers of cheese and whatever topping you choose. It was good, but for me, New Haven pizza is like no other. Catch a show-Poor planning on my part, I’ve wanted to go see Hamilton in New York City, but its costs stop me from purchasing tickets. Tickets in Chicago are a tad bit cheaper and had I been thoughtful, I would have gotten myself tickets. But don’t despair, Chicago has more than just Broadway. My motto when traveling has always been to venture out beyond the touristy, downtown areas. Check out other neighborhoods. My friend had recommended me to see Second City, located in the Lincoln Park neighborhood. Second City is Chicago’s famous improv and sketch comedy show, known for producing a lot of famous names, like Tina Fey, John Belushi, and Stephen Colbert. Laughter was what I needed. Lucky me, I was in for a special treat. They decided after the original show to extend it by revealing some new sketches. Visit Wrigley Field-Even if you don’t care for baseball, catch a game at Wrigley Field. So I was hoping I could go see a game while I was in Chicago, but they lost the National League wild-card game. A coworker of mine came here during the spring and said it was an experience to be had and the ballpark was reminiscent of 1914 and really hasn’t changed much. I’ll take her word for it. I hope I get to visit Chicago again soon to try some more foods, catch a ballgame and try to scout out the film locations of one of my favorite television series is Chicago Fire, Chicago PD, and Chicago Med. Wishing you all happy and safe travels! Bridgeport is the largest city in Connecticut and located in Fairfield County. The showman P.T. Barnum was a resident in Bridgeport. The first Subway restaurant opened there. Since the end of World War II Bridgeport took a hit with the movement away from manufacturing industry to a more service industry and has been plagued with poverty, political corruption and scandals, and crime. This is my all time favorite Italian restaurant in Bridgeport. Don’t come here if you are in a rush. Everything is made to order. Good food takes time. There has never been a time where I have not liked something. I’ve come here several times and Pasquale and Jennifer, the owners are so friendly. Pasquale has sat down with my friends and I to share stories about Italy. This is a German-style beer hall located inside an old bank. It has community-style seating and a great place to come with a group of friends. I’ve only gone late night, but others have told me that it does get crowded during happy hour as a lot of people working in local businesses go there. The food is on point. I’ve had a couple of the wursts, washed down with their own beer, Harlan Honey Kohlsch. I’ve also eaten at their sister restaurant Harlan Publick in Norwalk, which is vastly different from Harlan Haus, but a nice go to if you are in the SONO area. Hands down, best pho in the area. It is not your fine dining type restaurant. It’s the opposite. Most are skeptical because it is not really in the downtown area and the area looks rundown. It is a definite dive. But if you want authentic Vietnamese food, come to Pho Hong Thom. It is a family owned restaurant. When you walk into the restaurant, you can already smell the aroma of the pho broth. The pho is fragrant and flavorful. You get a large portion and it’s cheap. Who am I kidding? All of their food is delicious. A coworker had told me about this place in the Black Rock section of Bridgeport. She wanted my opinion about what I thought of the food being that I’m Vietnamese. So I went on the weekend with my brother. We loved the vibe of the place and got to talk to the owner and his mother-in-law. They are good people. It is a small place with bar seating. However, you can also do takeout. I prefer eating there. I’ve order the pho, pho ramen, congee (rice porridge), and the banh mi. Compliments to the cook. Their pho tastes just like my dad’s–very aromatic and seasoned well. Everything is fresh. Every time I go, I try to get something new, but I do often go back for the pho. Looking for authentic Puerto Rican food, my first go to would any of the numerous restaurants located on East Main Street. But if you are not comfortable driving in that area, head to La Caguena which is in the North End of Bridgeport. It is CASH ONLY. I’ve had their rice and beans, empanadas, potato balls, and flan. You can see most of their food on the menu in the case behind glass. If you are not familiar with the food item, ask the counter person and they will be more than happy to explain it to you. I’ve always passed by this place and have had intentions of going in. I’m so glad that I finally did. My friend and I came here for breakfast to plan out our ice cream crawl (blog post to come) and we each ordered the hash brown waffles. Mine was with bacon and cheddar. It does take some time for it to be made, which we were told when we ordered. It was worth the wait time. It was savory. Yummy in my tummy! My portion was generous and I could not finish it. Service was great and the atmosphere is cozy especially for meeting up with friends or just wanting a bite and get some work done. I’ll definitely come back again to try their other breakfast and lunch menu items. You should not pass up this hidden gem. 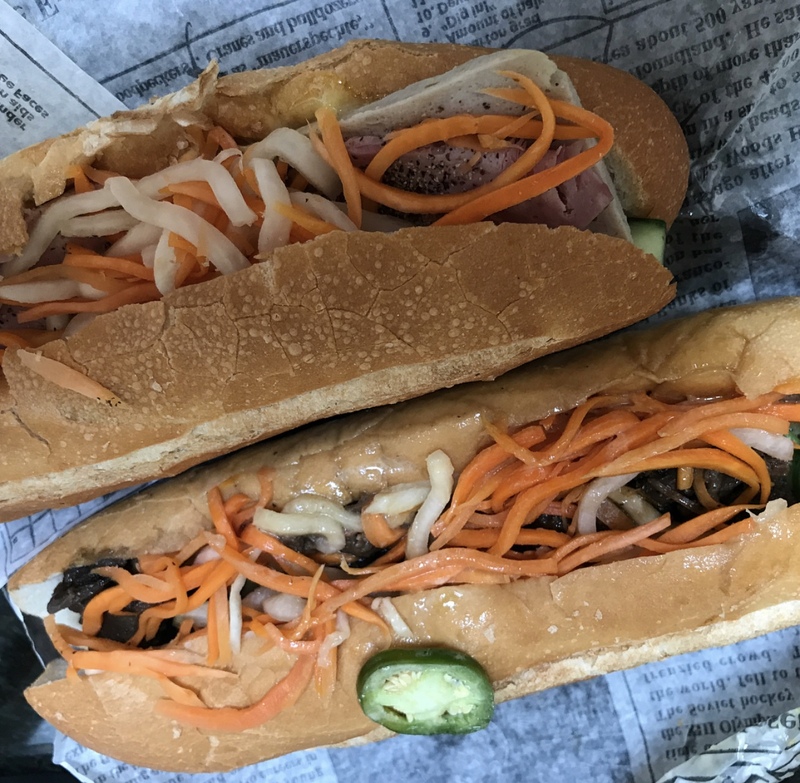 There are several other restaurants that I have yet to try in Bridgeport, like Ralph n’ Richs (Italian), Avenida (Portuguese), Eat Noodle (Asian), Bereket (Mediterranean), just to name a few. Maybe after you try these restaurants, you’ll want to adventure out and try the others. To those who cherish the beach life like I do, then visiting any of the Delaware beaches is something you should do if you need a weekend getaway or want to mini-vacation. Last year, I went to Rehoboth Beach. This year I ventured to Bethany Beach, which is about 20 minutes south of Rehoboth Beach. Coming from Connecticut, you’ll drive pass Lewes Beach, then Rehoboth Beach and Dewey Beach before reaching Bethany Beach. Each of the beaches has this tranquil feel about them, but each has its own personality. Rehoboth Beach is for the young and young at heart seeking shopping and good-eating. I’ve heard that Dewey Beach is more for the party animals. Unlike Dewey Beach, Bethany Beach is similar to Rehoboth. It is less touristy and a quieter version of Rehoboth Beach. Great for families! There is a smaller-sized boardwalk filled with beach shops and a few small eateries. During my stay, I only ate in Bethany Beach once for breakfast. The rest of my time I went to the fine dining establishments in Rehoboth Beach. Maybe next time I try restaurants in Bethany Beach. While in Bethany Beach, I ate at Sunshine Crepes, a great little cafe. I went to Fins Fish House & Raw Bar last year and had their soft-shell crab po boy. It was the best soft-shell crab I had so I had to come back for it again. This time it was with grits and it didn’t disappoint. Of course, one of the days it rained. My friend and I made the most of it. We went shopping at the outlets in Rehoboth and Dogfish Head Craft Brewery in Milton, about 25 minutes from Rehoboth Beach. It’s actually a pretty cool place to go if you are into craft beers. It is also the first brewpub in Delaware. There are various tours you can select from and then you can try their beers. We chose the free tour, which included a 20 minute presentation from Ken. He was engaging and hilarious. We even got to have a tasting of their Sea-Quench Ale. After the tour, we got a voucher for a tasting of four other beers. Two of their choosing (Namaste White and 60 minute IPA) and two of your own preference. I chose Festina Peche and Dragon & Yum Yums whereas my friend had the Mixed Media (my favorite-a cross of wine beer) and Firefly Ale. There are chips you can buy there and a little food truck outside to purchase some sandwiches. So, if you want a solace-filled beach vacay soaking in the sun, listening to the waves crashing on the sand, go to Bethany Beach and then head to Rehoboth to get your taste of finer dining. In my Lincoln, NH post, I mentioned that I stopped in Boston on my way home. The last time I was in Boston, I was in 8th grade. I vaguely remember visiting Faneuil Hall, Quincy Market, Boston Tea Party Ships, and John F. Kennedy Presidential Library & Museum. Since that was awhile ago, I figured why not make a stop in Boston. While I was in Lincoln, NH, I learned that kids in Massachusetts have winter break the week of President Day so many families leave the state and go on vacations. So the cost of hotels tend to be a little less expensive this specific week. I stayed overnight at the Boston Park Plaza because it is located near Boston Common, the oldest city park, and the start of the Freedom Trail. I love history so one thing on my bucket list is to walk the Freedom Trail. I started at Boston Common and made my way to Fanueil Hall. Because it was getting dark, I stopped there and went to explore Quincy Market. If you are fascinated by American notables, then visit Granary Burying Ground. There you’ll find John Hancock, Paul Revere, and Samuel Adams’ tombs. So on my next visit, I’ll have to check off the last couple of stops on the Freedom Trail. Quincy Market is a lot bigger than I remember. It actually is comprised of three buildings–South Market and North market with Quincy Market sandwiched in between the two buildings. You’ll find a ton of eateries and shops. Outside you’ll see street performers. These acts were creative and full of talented. Several of my friends were here in the summer and they concur. I also stopped at the New England Aquarium, which if you are bringing kids, is a great place to go for a few hours. I went mid-day so it was pretty crowded. Luckily, I bought my tickets online because I got to skip the line. All I had to do was show my phone when I got to the main lobby. A tip would be to go early or later in the afternoon. There are many different aquatic creatures, but the main attractions are the penguins and Myrtle the green sea turtle. She is approximately 80 years old. In addition, there’s an IMAX, with different movies playing, for an additional cost. Before leaving I made two last stops–Fenway Park and Mike’s Pastry. Who goes to Boston and not stop at Fenway? Ok, so it’s not baseball season yet. But Fenway offers an hour, guided walking tour of the ballpark. That was pretty impressive! Afterwards, I went to eat at Wahlburgers which is within walking distance of the ballpark. I loved the burger and the sweet bun it came in, along with tater tots. My friends had told me about Mike’s Pastry and I must tell you this was probably the highlight of my stay in Boston. So I am a big cannoli fan. Everywhere I go, I always find the best cannoli places. The cannolis at Mike’s Pastry are hands down, the best ever. The original cream filling is like a thickened ice cream…vanilla and a little sweet, but not too much. I could eat the filling on its own. Boston is not really that far from Connecticut, and like New York, I should take advantage of visiting it more. The cannolis is the carrot that dangles before me to get me back up here. Kids off this week. Why not start planning something to do for their next break? Most schools in Connecticut have taken away a full week off in February. Instead, the kids have the Friday and President’s Day off to make a 4-day weekend. So, it’s a perfect time to head for a weekend getaway to New Hampshire. I had found a deal on Groupon for a newly renovated hotel. So when we went in February, I stayed at Arlington hotel in Bethlehem, NH. It is about 30 minutes away from Lincoln and nestled away, overlooking the White Mountains. When I went, the hotel was still undergoing renovations, but from what I have read in the reviews and its website, it looks like they have been completed. It is a kosher hotel, but you don’t need to be Jewish to stay. They do offer a kosher breakfast, lunch, and dinner. However, we had some picky eaters so we went out to eat in the next town over– Littleton. One of the nights, we did eat at Ninety Nines only because everything had shut down by 10 p.m.
Our plan was to go snow tubing at Loon Mountain, but I forgot to make reservations. They also offer skiing if you are a skier. Be sure to get your tickets ahead of time, especially since kids in Massachusetts still have the week off and many families head to Lincoln for skiing. To kill time, we drove around Lincoln looking for some shopping and fun. Since we couldn’t go snowtubing, what’s better than that—wine tasting, of course. You are probably wondering, there’s good wine in New Hampshire? Surprisingly, yes! In my research prior to going, I had found Seven Birches Winery and placed it on my itinerary as an option if there was time to do it. We stopped there and I would recommend doing the Meet the Winemakers Tour. Mark, the owner was very welcoming and shared with us the whole process of winemaking. Then came the wine tasting, the best part. He talked you through every smell, taste and finish. My favorite was the strawberry wine. I had planned to go to see the ice castles, but we still had a few hours before our reserved time and after the wine tasting, we needed to eat. So we went to eat at Pigs Ear BBQ and then headed over to One Love Brewery for more drinks. Afterwards, we headed to the ice castles, which are was down the street from the BBQ place and brewery. It features man-made turrets, archways, tunnels, an ice slide and waterfalls that are lit up with colored LED lights. They are amazing and breathtaking to see. You have to purchase your tickets ahead of time and reserve a time. I would recommend going around 4:00ish if you go in February. That way, you can see them in daylight and as it turns dark, you can see the ice castles lit up. Be sure to dress warmly and wear boots. It can get a little icy. They also sell hot chocolate there too if you need to warm up. So if you do choose to head up to New Hampshire, especially the White Mountain area, keep in mind some of these restaurants and things to do. Happy and safe travels!!! My friends and I constantly say we don’t take advantage of coming to New York City as often as we should, especially since we live really only a little over an hour and a half away. But, I always make sure I come into the city for Christmas. For me, it is a yearly tradition. I typically go the 2nd Saturday after the tree lighting at Rockefeller Center. SantaCon also occurs that same day. Seeing Kris Kringle, Mrs. Clause, elves, and the lights and tinsel trim signals my start to the holiday season and puts me in a festive mood. Usually I take the Metro North train from Connecticut to Grand Central Station. This year, though, I went a week earlier than normal and drove because I had a math workshop. I parked my car in the upper West side and took the subway–the 1 to midtown. My recommendation would be to arrive sometime around late afternoon, grab a bite to eat, and then start your walking tour of the holiday windows. I think the windows are best viewed at night, but you can easily see them during the day, too. There’s less people. If you choose to come in earlier, definitely get tickets to watch the Radio City Christmas Spectacular at Radio City Music Hall. The show is worth seeing at least once in your lifetime. It’s magical and puts you right in the holiday spirit. I would highly suggest that you make reservations prior to coming down, especially with Serendipity 3 and Max Brenner. Serendipity 3 is very small in size and there’s often a long wait, especially because many come there to try their frozen hot chocolate after their meals. Once my belly’s full, I am ready to embark on my holiday window tour. New York City is absolutely beautiful this time of year. It is lit in lights, adorned with Christmas decor and tinsel trim. I like to start downtown and then head uptown. Union Square’s Christmas Market on 14th Street and Union Square is my 1st go to place on my tour. I just like browsing the winding aisles to see what the local artisans and craftsman have made for possible gift ideas for my family and friends. Then, head towards 5th Ave. and walk uptown, pause at Lord & Taylor’s holiday window displays. Walk a few blocks up and take a little break to watch the Saks Fifth Ave Christmas Light Show, and then turn down 51st and 5th to check out the tree at Rockefeller Center. If you don’t mind the crowds, the traffic, and bustle, head to the tree for your selfies and photo ops. Otherwise, I’d hold off till after 8 or 9 p.m. It gets a lot less crowded at that time. The tree stays lit till about 11:30. Keep in mind, the worse time to go is between 5 and 7 p.m. because it gets extremely crowded where you get to know the people around you very well. As a result, people share their frustrations vocally and sometimes physically. St. Patrick’s Cathedral is nearby so be sure to go inside. The church is absolutely gorgeous. It is amazing to see this Neo-Gothic style church standing amidst a modern city. Keep heading up 5th Ave to see the impressive window displays of other stores like Bergdorf Goodman and Tiffanys. Close by to Bergdorf Goodman is Barneys and Bloomingdales. Their windows tend to have a certain theme and are unique and much more contemporary than the others. After Bloomingdales, I love stopping at Dylan’s Candy Bar to grab some of my favorites–sour belts, gummy bears, and cherry Jellybeans. With my candy bags in tow, I head back towards midtown via 6th Ave to see the Christmas decorations that adorn it. As I head back to Grand Central station, I like stopping at Bryant Park to check out their Christmas market. It is a bit smaller than the one at Union Square, but nice to take a stroll through. The other nice thing about Bryant Park is the skating rink. Most people tend to want to go to Rockefeller Center to ice skate, but that rink is very pricey. The rink at Bryant Park is free. You just have to pay for the rental of your skates. Bryant Park also has a beautifully lit Christmas tree if you are in need of additional selfies and photos. Christmas in the city is one of my favorite traditions. I hope it puts you in the Christmas mood and you enjoy it as much as I do. Happy and safe travels!!! This cold, dreary weather makes me reminisce of warm, summer days at the beach with my toes in the water. Thinking of planning a weekend getaway for the beginning of the summer–head to Rehoboth Beach, Delaware. It’s a great place to visit for a weekend if you just want to get away from the stresses of life. My friends typically go mid-summer to Rehoboth when it is crowded with people, but I decided to travel there the first week of June with my best friend and my brother. We arrived on Friday night, after a long drive. It really should only take about 4 hours from CT, but was almost doubled because of an accident on the GW (George Washington bridge). The weather was a bit chilly the first night and day, but it warmed up the last day to high 70s, close to 80 degrees. The locals said this year’s temperature was not typical. It’s usually a lot warmer. We stayed at the Atlantic Sands Hotel & Conference Center, not your most modern style hotel. But we had an ocean view, and that was worth it! I’m typically not a morning person, but I was awoken by the sun rising. The orange hue from the sun was blending with the blue sky was the most vibrant I had seen and it was beautiful. Probably, because included with that view, was a pod of dolphins leaping out of the water. It was the most serene moment after a few weeks of never-ending administering, grading, and inputting end of year assessments. The hotel we stayed at was perfectly situated, facing the Boardwalk. On the Boardwalk, you’ll pass little shops, many filled with beach theme items (if that’s your type of decor style-which for me, is), places to eat, and a family amusement center. I love the beach! But, I’m not one to sit at the beach all day or for hours sunbathing. Instead, I’d rather go and explore. So, of course, after spending a little time at the beach, we decided to take a stroll to scope out the stores and restaurants. And, at the little shops I found so many great decor pieces for my one day, wishful thinking house on the beach. Plus, several great places to eat! If you must burn off all those calories you ate, you can join the locals riding their bikes or go for a run on the Boardwalk. Now, I’m not much of a runner but I woke up the next day for an invigorating run down the Boardwalk, where I was sandwiched between the ocean and beautiful beach homes. Daydreaming, I wish I could live here everyday. If you have kids, the amusement center on the Boardwalk is the best place to take the kids after a day at the beach. There are rides, games, bumper cars, an arcade, and miniature golf. Both Friday and Saturday night were lively there on that end of the Boardwalk. Now, mine you, there was a baseball tournament that weekend, so crowds of families packed the amusement center area. Another thing I love to do is SHOP especially when I can get things at a bargain. Just my luck, near Rehoboth Beach are the Tanger Outlets. A short drive to find some deals and steals. And best part, tax free! There are about 110 stores. The one caveat about the outlets is that they are not technically located in one area. Instead, it is 3 different locations, all very close to each other, though. So shop till you drop! I had never been to a beach community before and Rehoboth was exactly what I had envisioned–friendly people, quaint beach homes, small eclectic shops, and small-town feel. This trip was just what I needed and I can’t wait to go back. Happy and safe travels! Philadelphia also nicknamed the City of Brotherly Love was my summer getaway this year. This was my second time to this city. I had gone several years ago with my crew. We had a blast! But there was not enough time to do everything I wanted to. Since it’s only about a 3 hour drive from southwestern Connecticut, why not head back! This time I stayed at Warwick Hotel Rittenhouse, located in central Philadelphia. It was perfectly situated. I walked everywhere from there. It’s a nice hotel, renovated recently. When you walk in, you’re welcomed by the sleek decor and walls adorned with a script. My room was simple and it was really more of a place to sleep than anything, knowing that I was only in Philadelphia for 2 1/2 days this time. The last time I came, all the locals had told us to go to Sonny’s Famous Steaks so I never made it to Pat’s or Geno’s. So that was my first stop. Their rivalry is well-known. I walked there from the hotel…it was a long walk; I should have drove, but hey, I walked off the calories from the cheesesteaks even before eating it. Plus, there really is no parking. Pat’s and Geno’s are literally right across from each other. They both look a lot bigger on television. Pat’s was first; I ordered the steak wit-out cheese whiz. The steak was shaved and lathered with cheese whiz. The bread was amazing. Then, off to Geno’s where I got the same thing. Geno’s sandwich had layers of steak, but my cheese was watery, which I know is from the beef juices, but that’s not my cup of tea. For me, Pat’s was better. When you go to Philadelphia, you can’ leave without having a Philly cheesesteak. Personally, I think it is really going to come down to one’s own preference. Head to Philly and you decide for yourself which is best! The other place that I had to go to was Reading Terminal Market. Prior to going I had checked out their website and researched what I should try. My list included: try donuts from Beiler’s Bakery, get cookies from the Famous 4th Street Cookie Company, try some pastries from Termini Bros Bakery, get some fried cheese curds and a corn dog from Fox & Son, eat a pastrami sandwich from Hershel, have ice cream from Bassett’s and try pierogies from Franks-A-Lot. I know, overly ambitious…I tried. My definite must-try are the donuts from Beiler’s Bakery. Get there early; there’s usually a line that’s wrapped around. I got the Salty Caramel, Chocolate Mousse, Boston Creme, Apple Fritter, and Strawberry-filled donuts. They were the lightest, most fluffiest donuts I have ever had! And no, I didn’t eat them all in one sitting. I also wanted to check out their Chinatown because the last time I had gone, it was one of the stops on the Hop On/Hop Off sightseeing bus tours. It’s not really that impressive as New York City’s Chinatown. I hope you can get away and enjoy exploring the city of Brotherly Love! Happy and safe travels! In Connecticut, local cities organize restaurant weeks, where participating restaurants offer a prix-fixe (fixed price) for lunch and dinner. 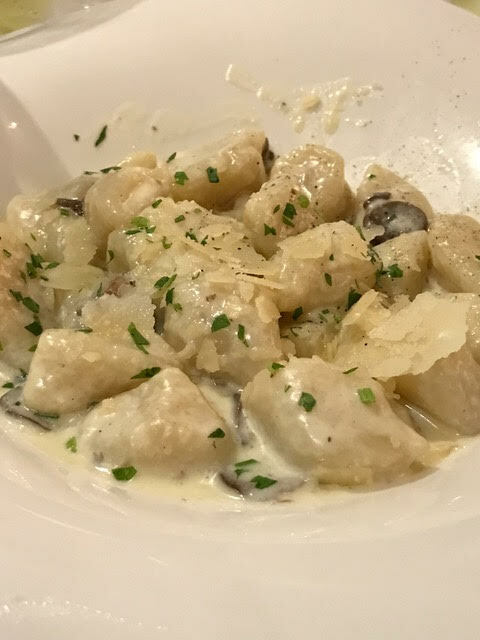 It is one of my favorite because my friends, family and me can try some restaurants we may not typically go to. This week happens to be Restaurant Week in New Haven. Here’s the link for you to look at the participating restaurants and their menus. New Haven Restaurant Week April 8-13, 2018. Note: Some restaurants do change some items on their menu. I tried Harvest Wine Bar & Restaurant. Parking in New Haven isn’t too bad. If you can’t find street parking, there are parking garages and during restaurant week, they tend to offer special pricing. When you get to 1104 Chapel Street, look downward and head down the stairs. It looks like a fun hangout place during the spring and summer with its outdoor patio with heater for those cool nights. This time, I had dinner with my brother. I ordered the steak tartare, seared branzino, and tres leche cake while my brother ordered duck risotto, grilled NY strip steak, and the nutella crepe. I can’t speak for my brother’s food, but my food was delicious. My steak tartare was a great starter. It came with a quail egg which I drizzled over the raw meat and mixed. I smeared bits of the mixture on the toasty soft bread and bit into it. Delish!!! My branzino was light, delicate in flavor, and flaky and came with a ravioli filled with a lobster and crab filling and petite carrots. Devine! The tres leche cake was a delightful end to my meal. Restaurant weeks are a great time to go and explore the different tastes in your community. So look and see if your city or surrounding towns offer them. The next restaurant week in Connecticut will take place in Stratford during the week of April 22-28.